It’s been a rough start to the summer season for provinces in central and southwest China. Torrential rain and floods have affected millions, destroying crops and forcing many to evacuate their homes. 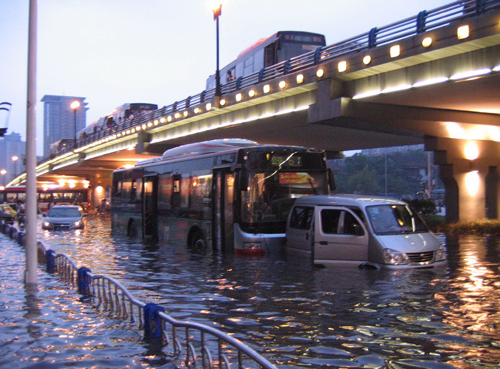 Chengdu was largely spared any flooding up until this past Sunday when a heavy storm dumped on the city. The storm blew out power lines while the flooded streets created traffic chaos throughout the city. 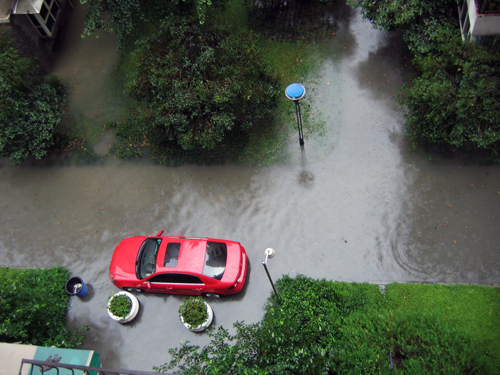 My colleague took some photos of the flooding near his apartment in the low-lying southern part of Chengdu. Some drivers mistakenly judged water levels and got stuck in the middle of flooded streets. The storm drainage system in this part of the city couldn’t handle the huge quantities of rain that came down in such a short time period – resulting in covers being pushed off the tops of manholes. The girl in the above picture had the misfortune of unknowingly stepping into one of those holes. Luckily a nearby man came and rescued her before anything more serious happened. 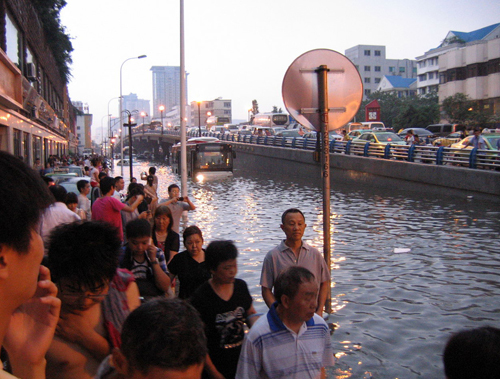 Even though Chengdu experienced some flooding, the real damage took place in the more rural parts of Sichuan province. In Yingxiu county, flooding brought down part of a bridge, stranding villagers. Video of the dramatic rescue can be seen here.